Ok, so I guess the next battle between Playstation, and Xbox is going to be 4K. Now if you mainly play games on a PC this isn’t really an issue, if your PC is powerful enough you can game in 4K at 60 FPS and be all set. Now in my case I mainly game on console, I like playing on a big screen while sitting on my futon, with the surround sound turned up, I also have an old PC that has a hard enough time just running good old HD games so asking it to run 4K is out of the question. As I write this the PS4 Pro is the most powerful console on the market, and while some games do give you what I call an enhanced experience over standard HD, I don’t consider it a true 4K machine, especially if it’s asked to push 4K at 60fps, to be honest I just don’t think it could do it. As far as the Xbox OneS goes it offers a better experience on a 4K tv over standard HD, but with it being less powerful it’s in the same boat as the PS4 Pro more or less. Now we have the Xbox One X releasing this fall, and should have enough power to push 4K at 60fps with no problems, at least thats my hope. The big hang up I think is going to be Microsoft, right now it looks like a lot of games will be locked at 30fps to maintain parity with the less powerful Xbox models so as to not give Xbox One X players an unfair advantage when playing games online. I do understand why they are doing this, but I think it’s a double edge sword, they are essentially handicapping the system by not letting it use it’s full potential. I keep hearing persistent rumors of Sony working on a new PS4 thats more powerful than the Pro, if this turns out to be true, than that could be the push needed for 4K 60fps across the board. If your a console gamer like myself your used to playing game at 30fps, it really doesn’t bother me, but games running at 60fps do play more fluidly. It would be nice to have the same experience that pc players have, I think this would also help with cross platform play between consoles, and pc’s. My hope for the Xbox One X is that Microsoft allows both players, and game developers to use the systems full power on all games, and not just select titles of their choosing. It’s kind of like having a 4k tv, but only being able to watch 480p content on it. If the rumors of a new more powerful PS4 are true, and they allow everything to run at 4k 60fps, I think that Microsoft would have to follow to stay competitive. 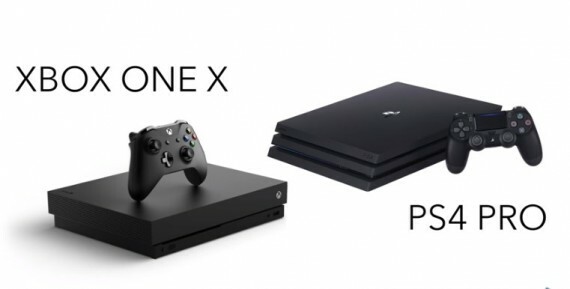 One thing I would warn both Sony, and Microsoft about is releasing new updated hardware mid-console cycle, is that if ever couple of years they drop a new box people could get what I’m going to call console fatigue, and just say I’m not buying another PS4 or Xbox when the one I have is just a couple of years old. Once everything is running at 4k 60fps, I’m not sure where we go from there. I think we will kind of be at a plateau as far as the visuals go. The only thing I can think of is speeding up load times by using solid state drives, and I think that will be a thing we see in the next generation of consoles as ssd’s continue become cheaper. I have high hopes for the Xbox One X, and hope it’s allowed to be all it can be, and it will be interesting to see what plans Sony has for any new PS4 hardware. As always feel free to let us know what you think in the comments. Wipeout collection is true 4K and 60 fps. Its NATIVE 4K 60fps if you turn off motion blur. If you have a 4K HDR screen and the bandwidth for your broadband these clips of Forza 7 running 4K HDR 60fps look incredible. The cockpit view in the first video looks photorealistic on my screen, you can even see the wires on the dash vibrating. The detail in the enviroment is jaw dropping in the 2nd video. Wha???? How will it be when most games don’t do it on either console? Even a majority of Xbone’s upcoming games aren’t going to be doing it like Recore re-release, Crackdown 3, State of Decay 2 and Sea of Thieves.